The BMW Isetta is one of the weirdest European cars of all time. The car was produced in the mid-ate 1950’s, and its only entrance door was on the front of the car. The steering wheel for the vehicle was actually attached to this door, and the overall shape of the car was in the form of an egg. 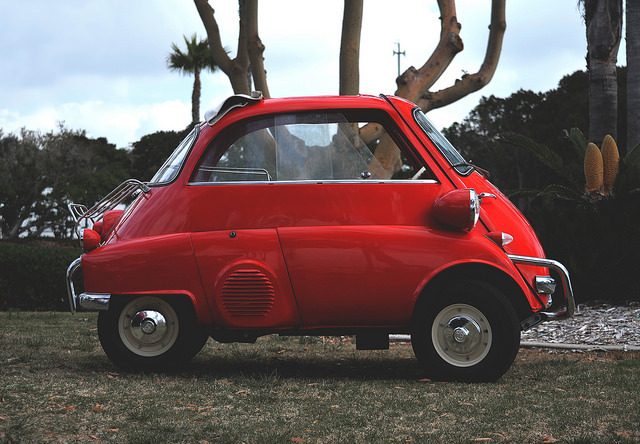 The top overall speed of the Isetta was only 50MPH with its engine consisting of a BMW motorcycle engine. The auto does have the distinction of being the top selling single-cylinder car in the world, and it was also the first vehicle to obtain a 78 MPG (combined) gas mileage rating. The car can still be purchased on the used car market for between $20 and $30K USD when you can find them.